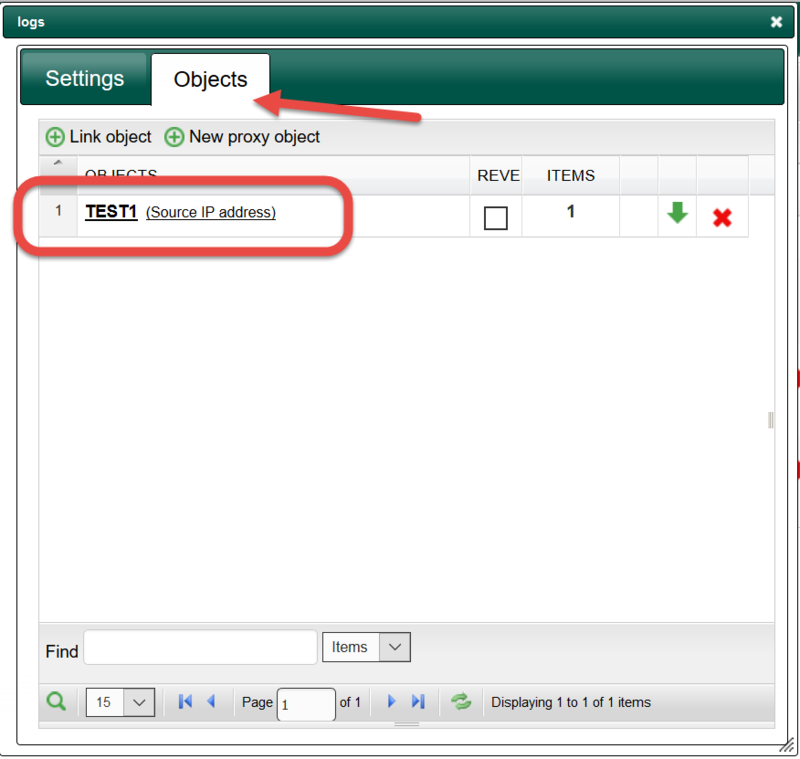 Home » Access Control lists » Acls Examples » Log Internet requests in CSV format for specific objects. 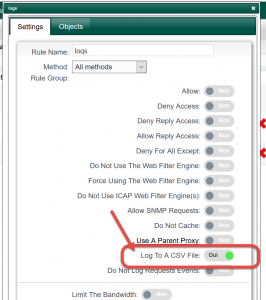 The ACLs feature allows you to log requests according a rule. On the ACL section, create a new acl. On the objects section, define appropriate objects that will filter the rule. On the main table, click on “Apply” to make the rule on production mode. 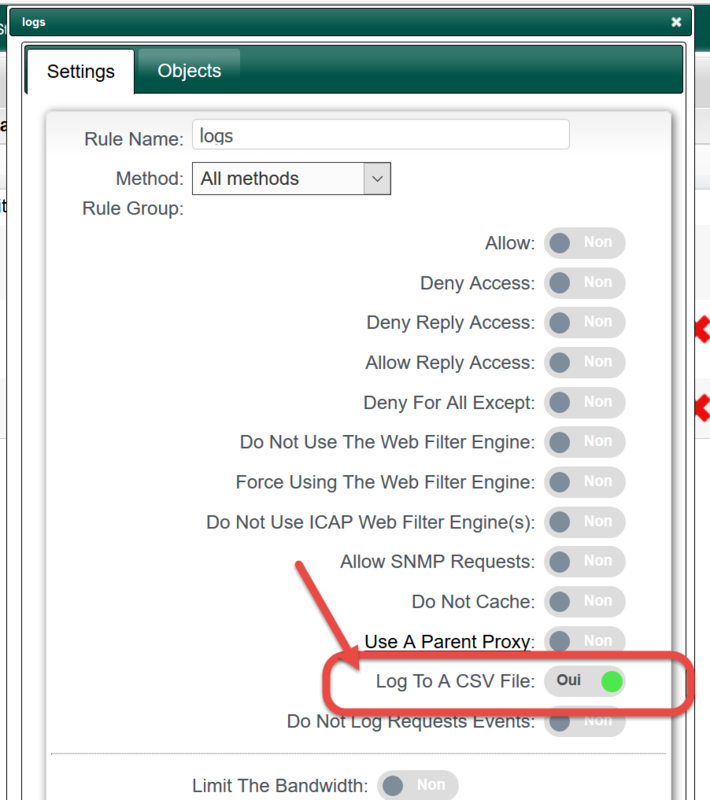 On the rule itself, you have a “Download” link that allows you to get the CSV file. ← How can i display my log partition usage on version 2/3.x ?